So, we thought it would just go through June — turns out no one wanted it to leave! 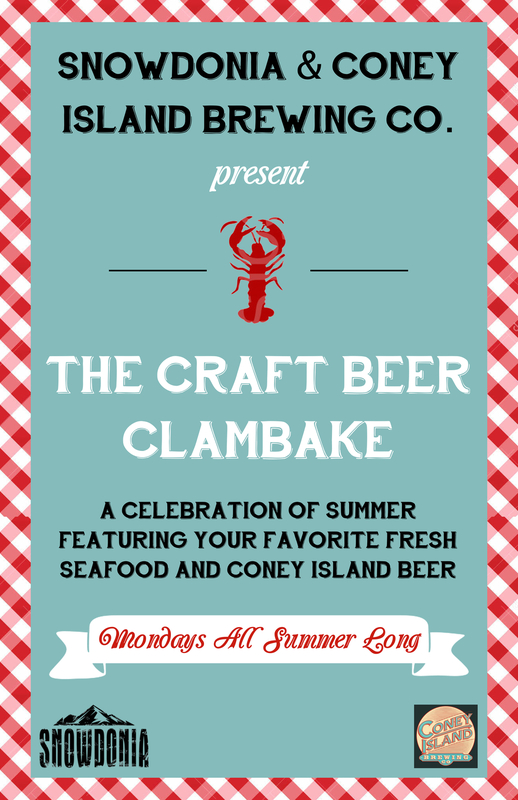 Our seafood-packed homage to summers on the coast will now run through the end of August (and possibly longer), so once again we present: The Craft Beer Clambake! Every Monday you'll enjoy the freshest lobster, mussels, fish, and (obviously) clams we can get our hands on, cooked to perfection and paired with the bright, refreshing flavors of Coney Island brews! Check out the menu below, and be sure to keep your Monday nights free!